Through hands on experience, as well as through classroom learning, Accord MS has created the most comprehensive Corporate Compliance System that every office in the medical field should retain. AccordMS also offers on site compliance training, and high level attorney appeals for unpaid claims as well as Premium Cloud Compliance for $99.00 a month. Accord Medical Systems has over 20 years of combined experience in healthcare administration. 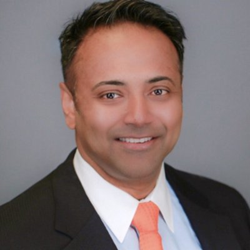 The Founder, Neel Bose, is Certified in Healthcare Compliance through Seton Hall School of Law. As of 2016 Corporate Compliance Programs became mandatory for all Healthcare Providers, as required by Office of Inspector General (OIG). (42 U.S.C. § 1395 cc (j)(8)) A quality Corporate Compliance Program should include Policies and Procedures that are regularly reviewed, include measurable effectiveness, constant training, open communication, internal auditing, enforcement of Policies and Procedures, and prompt response to compliance issue. Establishing and implementing a corporate compliance program can be a daunting undertaking while your schedule only allows times to see patients and take care of business administration. Accord MS can provide patients with the blueprint you need to effectively establish, implement, and maintain an up-to-date Corporate Compliance Program as required by the OIG. Some features include Policies & Procedures Manual, Corporate Compliance Manual, and Employee Forms & Documents. As well as features it also includes some benefits such as keeping you in compliance with the False Claims Act, Anti-kickback Statute, Physician Self-Referral (Stark) Law, HIPAA, American Recovery & Reinvestment Act (ARRA) & Patient Protection and Affordable Care Act (ACA)- Obamacare. A few other benefits include more efficient patient care, keeping your staff educated on compliance issues and sets the tone for an ethically run business through and through. Through hands on experience, as well as through classroom learning, Accord MS has created the most comprehensive Corporate Compliance System that every office in the medical field should retain. In addition, they also offer on site compliance training, and high level attorney appeals for unpaid claims as well as Premium Cloud Compliance for $99.00 a month.